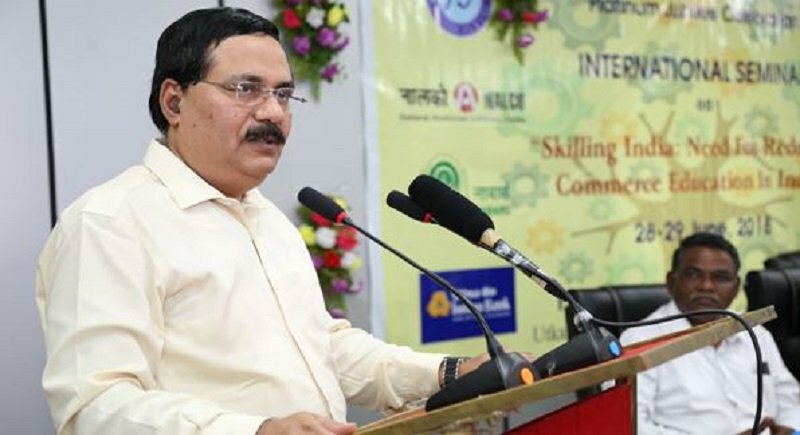 Dr. Tapan Kumar Chand, CMD, NALCO has been conferred with the prestigious ‘NIPM Ratna Award’ in the 37th NIPM’ Annual National Conference NATCON-2018, held at Pune. Dr. Chand was given the award in recognition to his significant contribution to People Management & Strategic Leadership. Dr. Chand dedicated the award to HR professionals in the country and the Team NALCO. Sharing his thoughts, Dr. Chand said, “We are now in the threshold of 4th industrial revolution. The 1st Industrial revolution marked the shift from muscle power to steam power while 2nd revolution occurred with application of electricity and mass production. With 3rd revolution it gave further wings to human efforts with implementation of IT & Automation. Now with the emerging 4th industrial revolution, Artificial Intelligence, Internet of Things, Robotics, Augmented Reality etc would be the trend setters. Dr Chand further said that the new technology: Industry 4.0, will bring in substantial reduction in capital investments and Indian Industries needs to leverage it to remain globally competitive. “The need for the Industry is to prepare for the 4th Industrial revolution and Industry 4.0 Technology” he said. “However, the challenges are far more daunting in a populous country like India with 1.3 billion populations and more so when the country is emerging as the youngest nation in the world with 64% of its population in the working age group. As the employment opportunity shrink in large and medium industry, focus of HR need to be on MSMEs and the new HR model should enable mother plant to remain globally competitive while promoting employment eco system through MSMEs and employability eco system to bridge the skill gap in the country” added Dr Chand. It may be mentioned that National Institute of Personnel Management (NIPM), the highest body of HR professionals in the country organized two day National Conference, NATCON-2018 at Pune, wherein large number of professional from across India & abroad are participating. Professionals from various walks of life have congratulated Dr. Chand for the award and his new model of People Management.